"FunkyChops slap video is the best I've ever used"
"DoubleThump is the secret to blazing slap speed"
"QuickBeat helped me get my slap bass groove tight"
Slab Bass Guitar stuff here! You know I love slapping... if I didn't, why would I have so much stuff related to the slap bass guitar style one this page? I love everything that's funky... from fingerstyle to thumb and finger popping. I love slap bass songs, instruction, videos, tab and more. I've been playing bass guitar for a long long time, so I really know what I'm talking about. If you want to learn how to play this style quickly, check out the links above... as in the top of this page. There are a few items which will help beginners and pros learn quickly! Hello all my music friends... I'd like to say welcome to my page! If you love the funky-fabulous thumpin' that can't be missed, join the club... because you are appreciated here. Also invited is great groove and any low-end-bottom that makes a heart beat. The photo to your right shows me slapping... It also shows the 'thumbs up' hand gesture for 'it's cool.' Anyway, if you do the math, you'll see that it equals cool. I'm from Ohio, but I'm now in Cali... musicians (especially funky drummers), send me an email and perhaps we can jam sometime. Please excuse the lack of content, this site is just in the beginning stages. The content will be as follows: lessons, audio, video, tab and more. Do you think the slap bass technique is amazingly fun? I do too. 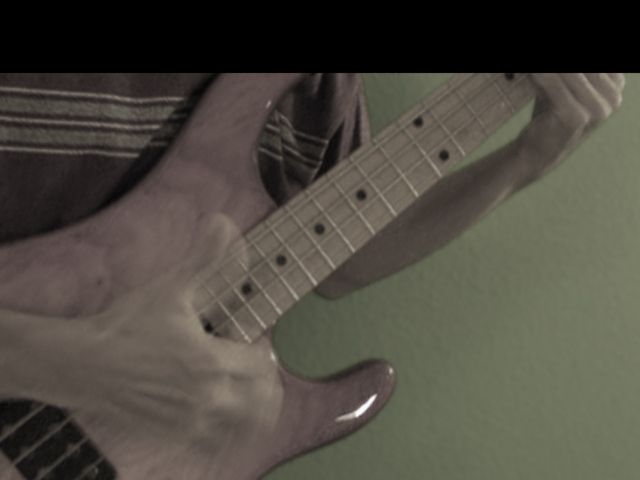 I'll have downloads of grooves, solos, and other miscellaneous bass guitar stuff that you may enjoy. If you have something you'd like me to post or a neat idea, let me know... also, if you have any cool links - that's helpful too. See you in the near future, and I wish you a happy day! NOTE: the link above will take you to a chat that is Not property of this site.